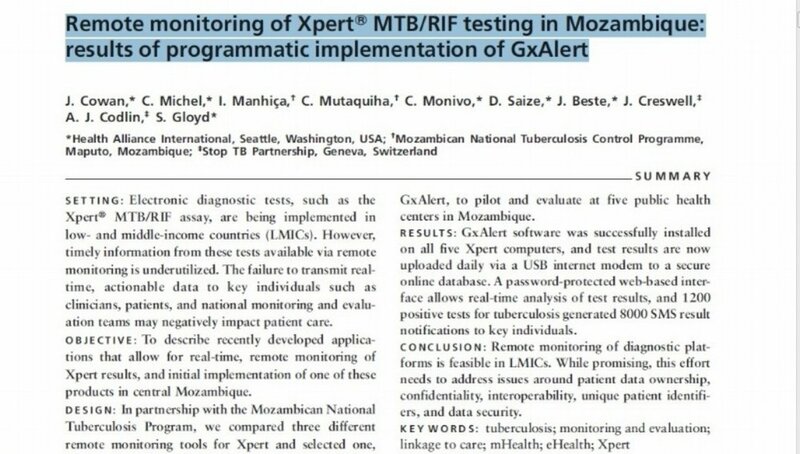 Below you will find a list of resources where you can learn more about GxAlert technology and how it's having a disruptive impact on TB programs worldwide. 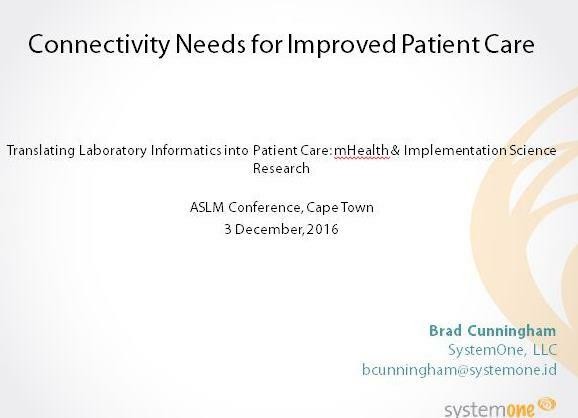 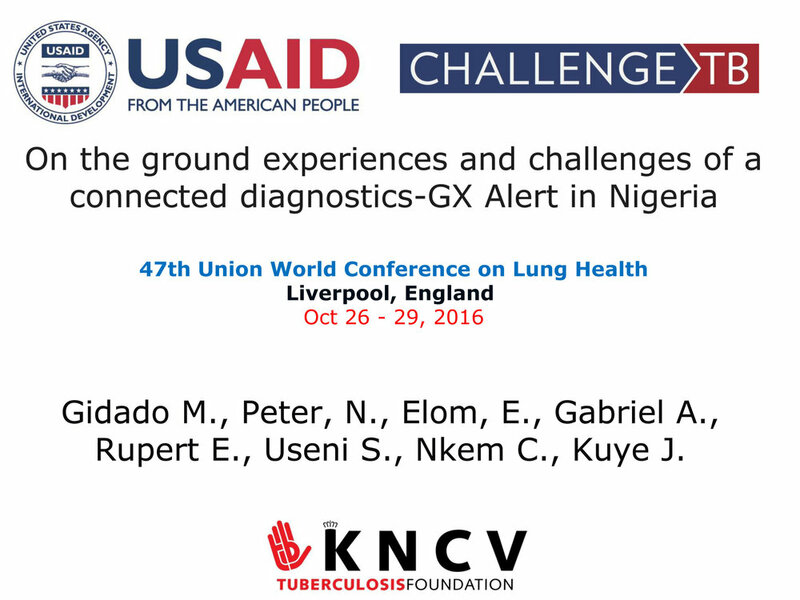 Click graphics to view complete research document or presentation. 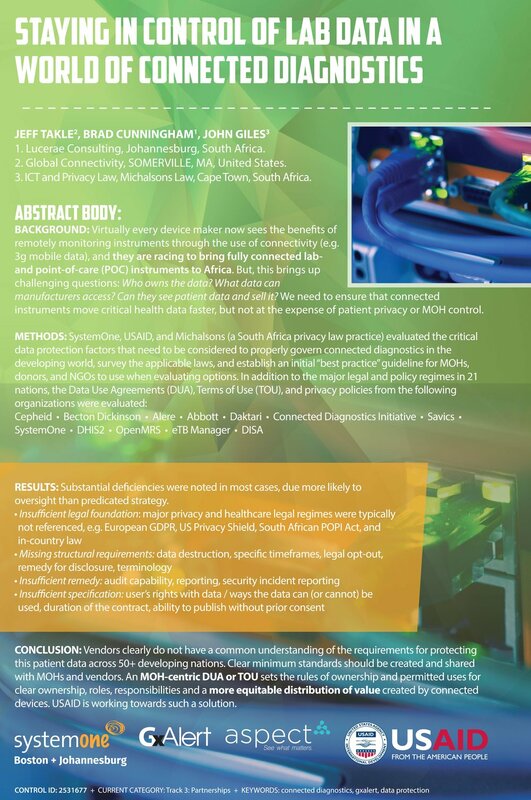 February 2018: SystemOne White Paper | "Cost Benefits of Diagnostic Connectivity"
Click on the image to send a request for this White Paper. 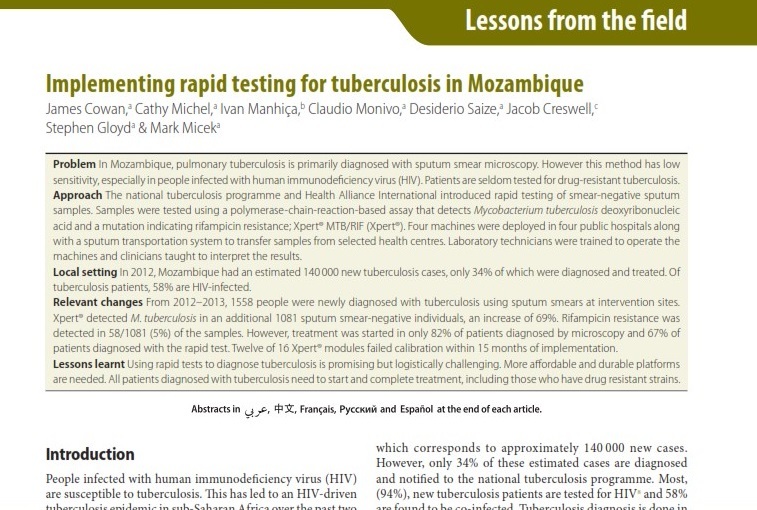 Racing for results: lessons learnt in improving the efficiency of HIV viral load and early infant diagnosis result delivery from laboratory to clinic. 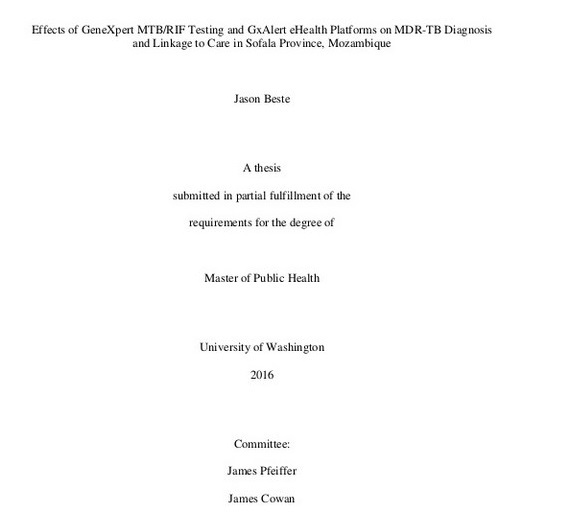 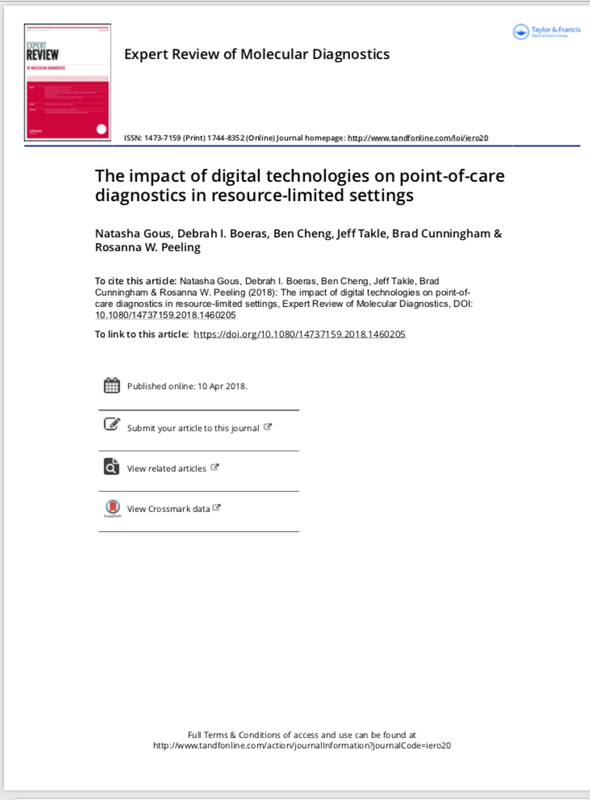 April 2018 | Expert Review of Molecular Diagnostics: The impact of digital technologies on point of care diagnostics in resource limited settings. 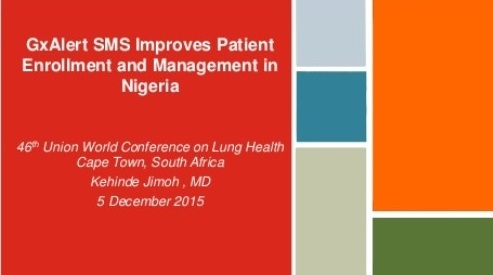 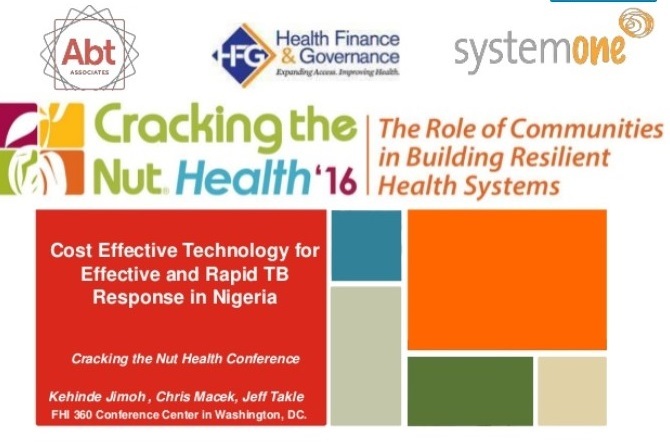 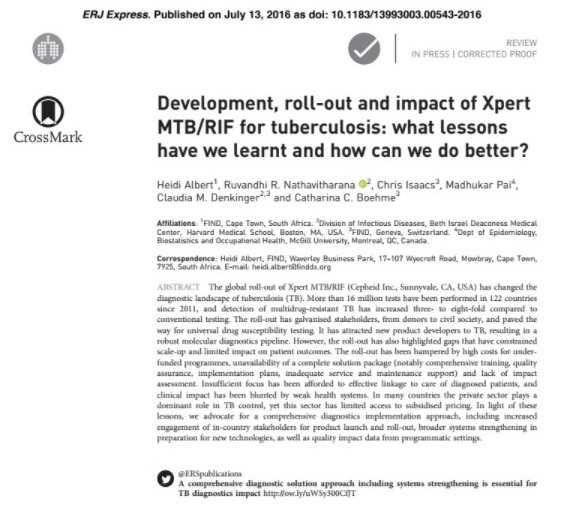 July 2016 | ERJ Express: Development, roll-out and impact of Xpert MTB/RIF for tuberculosis: what lessons have we learnt and how can we do better? 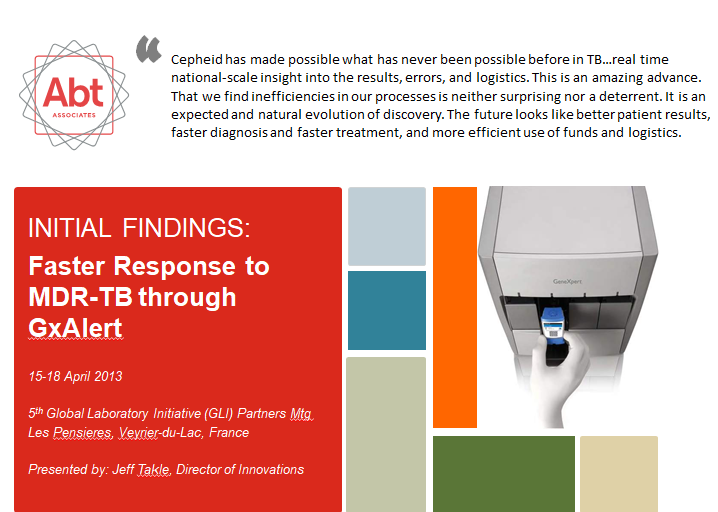 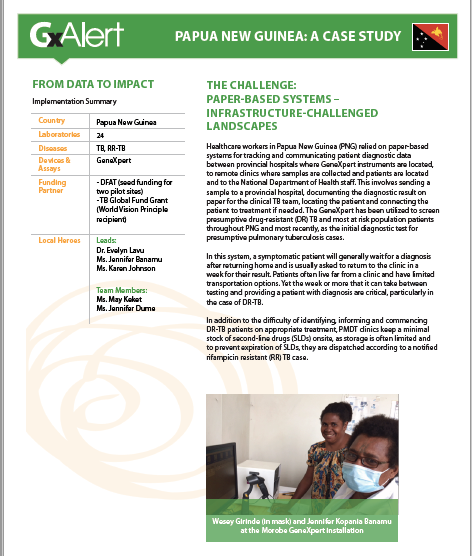 March 2016 | The Union: Connectivity of diagnostic technologies: improving surveillance and accelerating tuberculosis elimination. 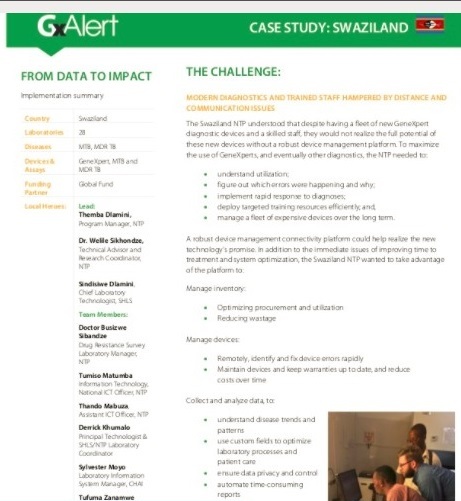 March 2018 | CROI: Reducing Time for HIV Viral Load Result Delivery to Antiretroviral Treatment Facilities in Malawi.